Please be prepared to laugh because I call it like I see it. Once in a while, I read an advertisement with a headline that states: “Free Yoga Teacher Training.” This makes all of us curious! I’m jumping out of my seat like I drank a quad mocha latte! 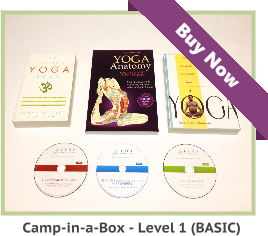 I teach Yoga classes regularly, but I believe in continuing education for life. Meaning no disrespect to my Guru, I click on Free Yoga teacher training course in anticipation. When reading the small details, I learn that I must spend over three thousand dollars for the course and I have to travel (more money). The lodging is going to cost me another three thousand dollars. When I call up, they tell me I’m going to pay extra for my study materials. All of this is making a long and expensive flight back to India look really appealing! At least, I can stay with family and friends while I’m there, but where can I find this “FREE” Yoga certification course? I mean, they said, “free” and I really want it. It turns out that most North American ashrams have seva programs and I’m willing to work for free while I learn more about teaching Yoga. After talking to a dozen of these ashrams, I learn that seva means I work for free, but I can’t be accepted into a teacher training program, while I’m doing seva. Do you see the big picture? I’m a yoga teacher already, and I’m good enough to sweep the floor, peel potatoes, and clean toilets, but no free yoga instructor course for me. I didn’t like their food anyway. How many days do they expect me to eat kale soup and go without a coffee? It was a five mile ride to the nearest Starbucks and I’d have to do it on a bike through ice, rain, sleet, and snow, because I can’t afford to keep my car if I’m going to work for free for a whole year. Uncle! I give up already. There is no free course for continuing education or for somebody who wants to become a Yoga teacher. I fell for the free deception. This is what Paulji meant by “Maya.” He talked about how maya is the primary aspect that manifests illusion and duality. So, “free” is an example of the practical application of maya. Now, I’m willing to go for that low cost Yoga certification. There isn’t one until I Google it and search for online and correspondence Yoga teacher courses. Well, I’ve come full circle and back to the arms of my Guru. 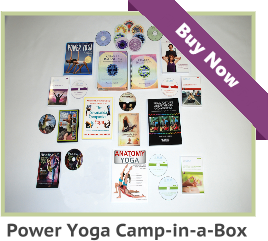 Thank you, Paulji and Aura Wellness Center, for creating a low cost solution to the need for continuing education. 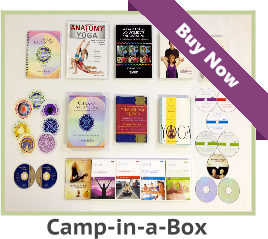 See videos, demonstrations, and lectures related to online yoga instructor certification programs and specialized continuing education courses.